As your business grows, you need more tools to work with your financial data. In the QuickBooks Advanced Class (Level 2), you will find out about the features of QuickBooks that can make you more productive as a business owner using this complex software. Getting to the next level with QuickBooks means that you’ll be able to do make advanced reports and graphs of your business’ financial data, do your payroll with QuickBooks, synchronize QuickBooks with your contact management software, and more. This private QuickBooks Advanced class will help you understand more of the available tools in a small classroom envrionment. Working closely with a QuickBooks expert, you will get customized, one-on-one attention working through your real-world issues. 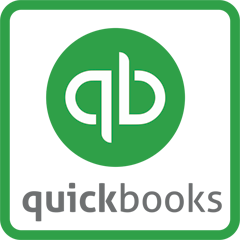 Register in QuickBooks Advanced today to make keeping track of business finances a snap! Fill out the form below to request more information about (Private) Level 2 - QuickBooks Advanced Class or to request information on customized individual or group training sessions.